Since 2011, the EU has called upon its member states to step up their efforts to improve the socioeconomic conditions facing many Roma. It has also sought to secure the ethnic representation of the Roma in these efforts. By doing so, the EU has tried to strike a balance between redistribution and recognition: it has recognized the ethnic specificity of this group, but it has also framed the issue as one that requires a socioeconomic solution. Using insights from frame analysis, visual theory and governmentality studies, we argue that the EU’s balancing act between recognition and redistribution has its limits. Current redistribution policies may be open to forms of group representation, but the deeper operational representations which underpin that openness still conceptualize the Roma in restricted ways. These operational representations determine how the Roma become publicly ‘visible’ and ‘governable’. In this article, we speculate about a possible trajectory out of this impasse and argue in favor of a repertoire of representation that allows for more fluid and contestable images of the Roma. VERMEERSCH, Peter; VAN BAAR, Huub. The Limits of Operational Representations. Intersections. 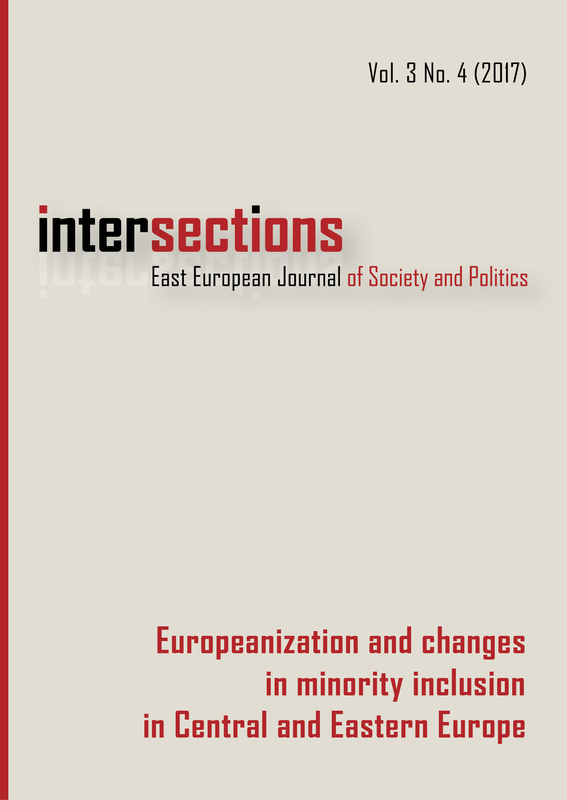 East European Journal of Society and Politics, [S.l. ], v. 3, n. 4, dec. 2017. ISSN 2416-089X. Available at: <https://intersections.tk.mta.hu/index.php/intersections/article/view/412>. Date accessed: 22 apr. 2019. doi: https://doi.org/10.17356/ieejsp.v3i4.412.